The Difference One Player Can Make at Arsenal. This Guy. It has been a topsy-turvy season for Arsenal as fortunes alternated playing with Santi Cazorla, without Santi and then switching to a 3:4:3 format. These include finishing out of the top 4 for the first time in 21 years, getting crowned a record 13th time as FA Cup champions, Wenger-outism, Wenger-inism and all the numerous sagas of the dotted lines. Euphoria, toxicity, despair and hope grappled with each other all season in one hell of a ride. 1) The rate at which we scored goals are relatively similar in the three segments (2.29, 1.96, 2.00 goals per game respectively). 2) With Cazorla playing, we conceded goals at the rate of 0.71 per game. 3) With the change of formation to 3:4:3, we conceded at the rate of 0.63/game. 4) Without Cazorla and using the 4:2:3:1, we conceded at the whopping rate of 1.48/game. 1) In a 4:2:3:1 without Cazorla on the pitch, we conceded goals at more than twice the rate as when we used the same formation with Cazorla playing. 2) In a 4:2:3:1 with Cazorla playing, we conceded at approximately the same, much lower, rate as with the 3:4:3. Can Cazorla’s presence on the pitch have such a dramatic influence on our defensive numbers? This is difficult to see and I would have explained it away as the fluke of a small sample–except that it has been a consistent pattern over the course of two and half seasons, particularly when Santi has been paired with Francis Coquelin in midfield. Coquelin has been his most regular partner and the source of the ‘Cazorla magic’ might actually lie in that partnership, the famed ‘CoCa’ combo. Cazorla is so expert in protecting and transitioning the ball into forward areas that it allows Coquelin to play as a dedicated defensive midfielder, patrolling a small space in front of the central defenders. Dispensing with name tags, such a dedicated defensive midfielder can jolly well be viewed as a slightly forward positioned 3rd central defender. Note carefully that it is the excellence of Cazorla that permits Coquelin to concentrate on the defensive aspect of that role without the team losing adequate transitioning capacity. If a Santi-esque player is not there, a 3-man defence becomes like a ready-made equivalent option. A question arises. Must we play with a 3-man central defence or a 2-man defence with a dedicated defensive midfielder paired with a Santi-esque player in order to attain a good team balance? We will find out. Arsene Wenger is a manager who is committed to an offensive philosophy arising from his emotional interpretation of what football is all about. Apart from central defenders, Wenger’s obvious bias leads him to acquire players with the skill sets and mentality for offensive play. Note his regular conversion of wingers to full backs and midfielders like Kolo Toure and Krystian Bielik into central defenders. I am yet to recall a conversion by Wenger in the opposite direction. A team assembled by Wenger can only be a reflection of himself. A team of eleven well rounded players would be ideal, but trying to raise such a team would be like trying to find a needle in a hay stack. One of the great attributes of Wenger’s invincibles–a group which did not lose a single game on their path to the league title–was playing with 2 central defenders and a host of attack minded players along with the presence of the well rounded midfield pair of Vieira and Gilberto, two players equally good in possession as out of it. I can almost bet that Wenger thought he had found a player similar to those two in Granit Xhaka. Was he alone in thinking so? Now that we have accepted that Xhaka is no Vieira and re-calibrated our expectations, we have begun to appreciate him. Vieira stands alone as a player so special that even the current two-time league player of the year, N’golo Kante, cannot match him. There have been attempts from some quarters to take swipes at Wenger by stating that he knows little to nothing about coaching. Little do such critics understand that they are only espousing their own ignorance of the subject. Coaching is not tons and tons of instructions. If it were, every professional footballer would have ended up the perfect player. Coaching starts with the ability to visualize for building philosophies and then employing tactics with sufficient emotional content for stability. It is these philosophical templates that define the modus operandi of coaches. One coach might be more reactive in his philosophy as he chooses his journey. Another might be more proactive. One might be more developmental than the other, also defining their different routes. On the foundations of a chosen philosophy comes the onus to perceive and discern qualities in players then allocate roles that give flesh to the concepts. Then follows the job of creating the physical environment for drills to elicit certain responses from players, always with allowances for individualism. Even more delicate is the task of creating the right psychological environment for maximizing the overall output of the group which invariably includes coaches turning themselves into buffers for absorbing the shocks of collisions (of all kinds) from within and without the system to enhance harmony in the team. To get all these and many more things right requires a coach who possesses a special capacity and emotional poise that doesn’t inundate intelligent and experienced players with instructions. This happens to be the Wenger way, distilled out of his experiences. Is Wenger the best coach around? You can as well ask me if Naomi is the prettiest girl in the world. Watch out for more SUMMER RUMBLINGS in PART 2..
13 Responses to The Difference One Player Can Make at Arsenal. This Guy. Well written PE you have obviously devoted a great deal of thought to your post. Xhaka interests me because l have to admit to initially having serious doubts about His ability. It must have been very apparent to whoever scouted/recommended Xhaka that he was no Vieira. He is an entirely different sort of player and greatly improved recently. Your thoughts do add credence to the power of the importance of the pairing though. Coquelin was a revelation when he returned from Charlton and he would of course of had Santa next to him. With Santi out virtually the whole season, Coquelin has been relatively poor in most games. Coquelin and Santi are an entirely different proposition to Xhaka and Rambo, which transfer activity aside looks like the future. Interesting to wonder if the different pairings would operate better against different opposition. Really intelligent analysis. I thought I was the only one who noticed that Arsenal were excelling until Cazorla was injured. Connecting that with the more widely noticed 3-4-3 success seems to have connected the dots ! Thanks for rubbing of the noises in the post. Hope to make it less noisy next time. Yes, I believe that the Carzola magic owes a lot to the CoCa combo and the Coq aspect of the pairing is the nearest thing to a 3-man CD. Am not dreaming of it back because of Carzolas condition, but it gives us the insight for creating options in formations going forward. I actually linked CoCa up with the 3-man CD in what I couched as the 7:3 mix. The 3 being defensive players whether as 3- man CD or 2-man CD+1 DM (real DM). I was a bit worried that I might have over-elaborated, so am really glad you clearly picked the connection. The 7:3 mix connects the two. A player like Vierira who is good on both sides of the ball qualifies as an attacker and a defender and mathematically turns the mix instantly into a 6:4 when we dont have the ball. Same with DM Gilberto also good on both sides of the ball who turns the mix when we have the ball to 8:2. Put in simple language Vieira and Gilberto are natural attackers when we are in possession and natural defenders when we are out of possession. That is why the post accepts 2-man CD with 2 well rounded CM as better than the 3-man CD. The big question is how to find a Vieira and a Gilberto. I believe we have one already. PART 2 of the post reveals him. I believe we felt that 3 at the back is better defensively, as at times I somehow realised we have too many people forward and leaving the defensive line short of players. I am looking forward to the next part of your ramblings. That is right. 3 at the back is better defensively for us because of the lopsidedly offensive players in the team. If we could replace 2 of the more offensive players in CM with 2 good well balanced players then we have hit the mix of the Invincibles : 2 tilted defensively, 5 offensively, 2 balanced and a 4:2:3:1 formation becomes as good an option as the back 3. The more in number the balanced players, the better the team. Unfortunately top well balanced players are so rare. Hi Pony Eye. As always I loved your post. Just one detail: I seem to remember Coq being wonderful early in the season shutting down and winning the ball high up the pitch, safe in the knowledge that Santi was behind him? In other words, I don’t think he always played “as a dedicated defensive midfielder, patrolling a small space in front of the central defenders”. Or is my aging memory at fault here? First off, as everybody knows, I’m a huge fan of Santi Cazorla and the stats you pull out help explain his importance at the club. I basically agree that losing him to injury started a downhill slide in our performances even if we remained unbeaten between the opening day match and those couple of away matches (Everton and ManCity) in December. Once our confidence was pierced it went REALLY bad until the formation change and our too little, too late run for the top 4. Knocking off both City and Chelsea in those Wembley games put some gloss on the campaign as well, of course, as another trophy upon the shelf, allowing a good measure of optimism here in the close season. Fine post PE, written like a waltz. I love the way you build a theory from various bits of information. Well done buddie. Santi is a player who adds a lot to the team and it clearly took time for Wenger and the team to get over the impact his departure had over the team. Over the years this has happened a lot to an Arsene team. We need to have multiple players who can play in the crucial midfield roles in order to have cover for long term injuries. It is also key to be very systemic and teach players to play in different roles in the way the incumbents do. Ajax of the nineties and Barca of Guardiola had perfected this. Wenger is not such a perfectionist and depends heavily on the form and fitness of his key players, which to me makes us vulnerable. In the new formation we seem to be more robust in terms of cover for key roles, but it is still early days. That’s a very pertinent observation there. The CoCa pairing this season was only for So’ton at home, Hull away and Chelsea home. For both So’ton and Hull we played very high defensive lines because they sat deep and Coq’s role, though he played higher up the field, was still basically that of wining the ball through pressing. Basically same thing 1st half against Chls. 2nd half his position was more classical DM as we sat deeper. Very well written analysis, PE. Great post. 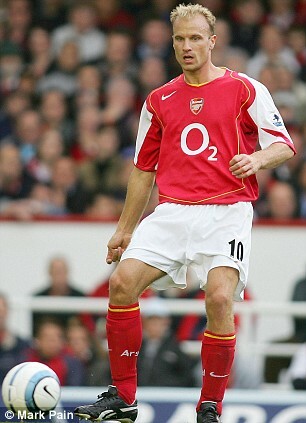 You really brought to the fore the impact the loss of that one player had on the entire season for Arsenal. I recall that he did come on for Ramsey in the second half of our 3-4 loss to Liverpool, and it was only when he came on and started stringing the passes and taking the set pieces we had any hope of any sort of redemption (as we scored our 2nd and 3rd from his assist, after being down 1-4). On the matter of DMs, while Coq started out as strictly, a DM, sitting in front of the 2 CDs, it was clear the manager wanted more from him with regards to forward play and passing range, a point Wenger had made in the 2015/16 season, as an area for improvement with Coq.This, I feel, was why he gradually lost his starting spot as Xhaka grew into the side and the manager experimented with Elneny and Maitland-Niles. Xhaka fitted in well as a compromise for Cazorla’s long range passing ability and all round awareness and Coquelin’s ball winning nous. He isn’t the finished product when it comes to defending/tackling in midfield but it worked out for him with the change of tactics, which somehow reduced the burden on him to win balls in midfield. It was hard to miss (and continue to miss) Santiago Cazorla. I look forward to him giving us one full season again, at the least.